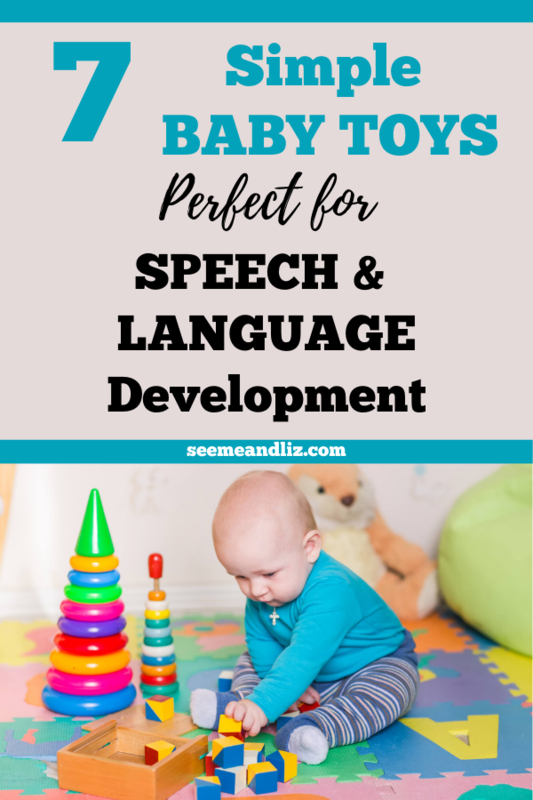 Choosing toys that help a baby learn, and specifically learn speech and language skills can be challenging. 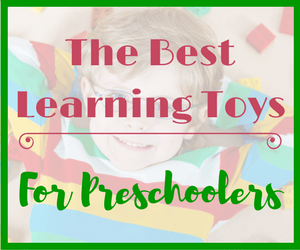 This article is the first in the “Best Learning Toys” series. I will outline the best learning toys for babies and give you ideas for what you can do with these toys to engage your baby. By engaging your baby and following some of my recommendations, your little one will be learning so much all while playing! Keep in mind that it is not the toy that teaches, it is you, the parent/caregiver. This is one of the reasons why I always advise parents stay away from electronic toys for babies and toddlers. Babies learn best through interacting with others, not by listening to and looking at an electronic device or toy. So you won’t find any “educational baby apps” here. Keep in mind, just because the manufacturer of a toy claims that it is “educational” or is great for learning, doesn’t mean much. They are trying to sell their products. I actually stay away from “educational” toys, especially for babies. The simpler the toy the better! ***For the purposes of this article “babies” refer to children under the age of 2. These toys are presented in no particular order. Click on any of the following toy recommendations to find out how that particular toy can help facilitate your babies language development and learning! 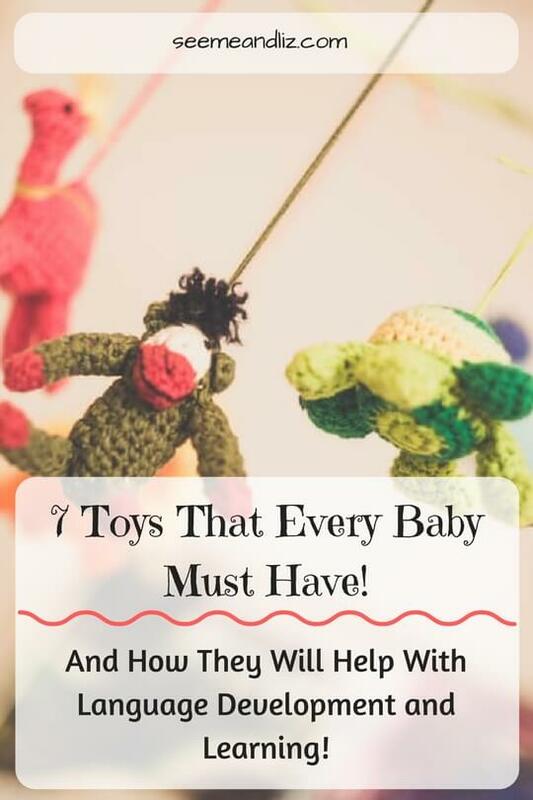 Make sure you set aside some time to go over this list as it is quite lengthy as I have packed it with tips for how you can interact with your baby with each toy for best learning opportunities and outcomes. To make it easier for you to remember all of the tips I am sharing, be sure to download the PDF version. 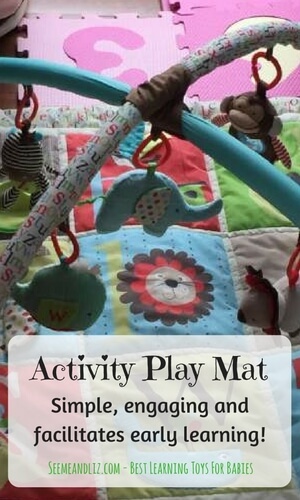 A baby activity play mat is a must have for all new parents! I have written an entire post on play mats (or play gyms) where I go into details about the benefits of them from a language and learning perspective. I also discuss how to choose the best one for you and your little one. If you are interested in learning more about baby activity play mats, please read that article here. ♦ Low tech toy without many bells and whistles (although some light up when baby kicks/touches a certain part). ♦ Great for cause and effect learning – baby touches a toy hanging down and it squeaks or crinkles. ♦ The toys that hang down are typically early vocabulary words (e.g. star, ball, animal names, etc.) – talk to your baby about the items hanging down. ♦ Can be used to encourage tummy time. Balls of all colors, shapes and sizes provide many early learning and language opportunities. In fact, the word “ball” is often a first word spoken by many babies and toddlers. /b/ as in “ball” is a great first sound to work on. Make sure your baby is watching you as you say “ball” so he can see the shape of your mouth and how your lips come together. Pretty soon he will be imitating you! Hide a ball “in” a box and then take it “out” of the box. Let your baby hear these kinds of words. As your baby gets older you can add other concepts while playing with balls, such as “over” and “under”, “in front of” and “behind”. Use the balls with other items like a basketball hoop or a tunnel. Watch the ball roll “through” the tunnel! “Throw” and “roll” are some verbs that can be used during a simple ball activity! Talk about how the ball feels. Some are soft while others are hard. Here are some more examples: smooth, rough, bumpy, squishy. You can also describe the ball based on its size: big, small, biggest, smallest, tiny, large, etc. Try fitting a large ball into a small box. Watch your baby to see what she does. Hide a ball under a blanket and see if she can find it. This skill is known as object permanence. A baby has developed object permanence when he realizes that an object continues to exist even if it is out of sight. A great example of how babies learn object permanence is by playing peek a boo. Rolling a ball back and forth is a social activity. Your baby must be watching you to see if you roll the ball to her. Then she must watch you to see if you are ready to have the ball rolled back. During this back and forth ball rolling, make sure you talk to your baby. You can say things like “it’s my turn, I have the ball” and then “now it’s your turn, here comes the ball”. Picking up and releasing a ball, throwing, kicking, etc. Every baby/toddler needs a ball drop! The language and learning skills that can be targeted with a ball drop are pretty much the same as those with balls. So I won’t re-write them all here. I wrote an article dedicated to one of my favorite ball drops, the Castle Marbleworks ball drop by discovery toys! In that article I go into quite a bit of detail regarding the language and learning opportunities that can be created with a ball drop. You can read that article here. One thing that I haven’t mentioned yet is some ball drops come with clear balls with objects inside of them. You can talk to your baby about the object inside of the ball (usually an animal) to enhance vocabulary. Some ball drops also come with animals in addition to balls. The animals can go down the “slides”. The Kidoozie Super Spiral Play Tower (pictured below), for example comes with 2 balls as well as a penguin and a frog. Balls and ball drops also present an opportunity to talk to your child about different colors as each ball is usually a specific color. However, try not to teach or test your baby. Keep your interactions as natural as possible. You can say “I have the green ball”, but don’t always ask your baby to show you a specific color. This is fine to do here and there, but don’t go overboard. Toy phones are wonderful for babies. One of the first things a baby most likely sees (probably minutes after his arrival into the world) is a parent talking on a phone. Seeing someone talking on a phone is a regular occurrence nowadays. If they aren’t talking on it, they are typing on it. Babies observe everything around them. This is how they learn. Babies also want to be like their parents and will imitate things that their parents do. This can be a good reminder to watch what you do and say in front of your baby, toddler and even older child. Let’s get back on topic. Talking on the phone is a social activity. You can say greetings such as “hello” and “bye” while you pretend to talk on the toy phone. Perhaps your baby/toddler will try to imitate you. It is also a good opportunity to learn about conversations and the flow that back and forth communication has. When talking on the phone your voice will change depending on the topic of conversation. Emotions such as happy, sad, angry, excited, scared can all be heard in the tone of someone’s voice. A baby will pick up on this. This can be seen when a baby puts a toy phone to her ear and starts to “talk”. It may be complete gibberish, but the intonation and inflection will be there. If you have more than one toy phone in the house, you can have one to your ear while your baby has the other. a conversation as if it was with a friend. Your little one will have a great time with this! Picking up and releasing the phone, isolating a finger to push a button, etc. ♦ NOTE: Some toy phones that I have seen are more like small “tablets” for kids and are marketed as an educational toy. I am not talking about these kinds of phones here. The simpler the phone is the better. They will all have buttons to push and sounds will be made, but as long as they don’t have any “apps for learning” it’s a great toy phone for the purposes we are discussing. Stuffed animals for babies and toddlers are a great way to introduce pretend play! Unfortunately not all children will become attached to their “stuffies” but they are still great to have around. 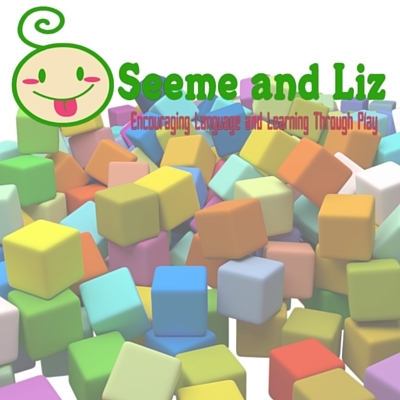 My son and daughter have had many great moments and lots of imaginary play with their 2 favorite stuffed animals, Seeme and Liz (which happens to be who this site is named after). At 8 and 10 years old now, they have so many stuffed animals that I have lost count and they still play with them daily. However Seeme and Liz are still their favorite sidekicks. 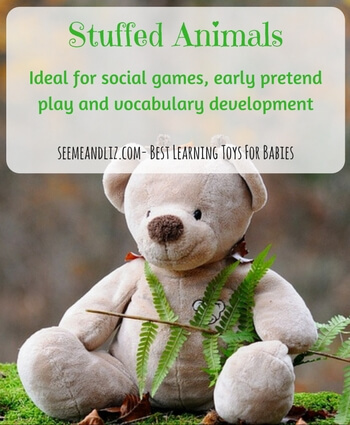 Fun Ways To Use Stuffed Animals To Enhance Language and Learning! Label the stuffed animal (bear, dog, cat, etc.) – if it has a nickname, use that name but also point out what kind of animal it is. Stuffed animals are also great for labeling body parts such as: eyes, nose, mouth, ears, tummy, and feet. Show your baby/toddler how you can feed the bear, as he gets older he will start doing this on their own. You can also give the bear something to drink. Or maybe the bear is tired and needs to go to sleep. Lay him down and cover him with a blanket. There are all kinds of adventures the bear could go on. Keep in mind, your baby won’t start trying to do these things until he is about a year old or even a bit older. Narrate what you are doing while you are doing it so your baby is exposed to new vocabulary words. Playing peek a boo is a fun and engaging way to interact with your baby. Involve a stuffed animal in peek a boo. Have the bear hide and then pop out from behind a chair. Your baby will soon be trying to imitate you. If you are interested in learning more about how great stuffed animals are from a language and learning perspective please click here. Nesting cups (or stacking cups) seem like such a simple toy, but there is so much than can be done with them. My children had the Fisher-Price Brilliant Basics Stack & Roll Cups (as seen in picture below). We loved these ones because you could take two of the “cups” and put them together to make a ball. You can also put the little yellow ball with the face inside the larger ball you have made and listen to it rattle around. Or place the yellow “face” on the top of the cups once they have been stacked to make it look like a person! If your baby is under 12 months, she will be taking in everything that you are saying while playing with these cups. Don’t worry, she will respond before you know it! Most nesting cups are different colors. So when you and your child are playing with the cups, you can label the colors. You can put other items “in” a cup and then take it “out”. You could also talk about “on” and “under” by hiding smaller objects. Count the cups as you stack them. However, don’t make counting or colors your focus with this activity. Find the biggest cup and then look for the smallest. You can also talk about “big, bigger, biggest”. These concepts are more suited to an older toddler, but it is ok to still use these words when playing with your baby. However, keep it natural. You don’t want to “teach” your baby all the time. A big cup won’t fit inside a smaller cup, however a small cup will fit inside a larger cup. Watch and see what your baby does with these. If he is struggling, show him how the cups should stack and nest. Hide smaller toys in a cup and turn it upside down. See if your child remembers which cup the toy was hidden under. Picking up cups, banging them together, placing small cups inside large cups, letting go of cups, etc. But don’t be surprised if your little one simply enjoys banging the cups together! Remember, let your child lead and see what happens. Shape sorters are another great first toy! However, I encourage you to not look at a shape sorter simply as a way to learn the names of different shapes. While that is certainly important as a child gets older, it is not necessary for a baby/toddler. Skills Babies Can Learn While Playing With a Shape Sorter! It can be challenging, especially for a child under 12 months, to get a shape into the right cutout. A good way to help your child without actually giving them the correct shape would be to give them 2 choices so they aren’t overwhelmed with shapes to choose from. As your child gets older, add another choice. Most shape sorters have colored shapes. You can label these colors. As I mentioned in the nesting cup section, do not make this a focus with young children. Simply include the color names as part of your conversation when playing with this toy. Count the shapes and see how many there are! Again, just as with colors, don’t focus too much on the counting with a baby. This happens naturally as your little one attempts to pick up a shape and put it into the shape sorter. Once all the shapes have been put into the sorter talk about how it is “full”. Then dump them out to see what it looks like when it is “empty”. I would really only focus on the basic shapes: square, triangle, circle, rectangle, star. But even then, as I previously mentioned, this should not be a goal with a baby. When choosing a shape sorter try to find one without any batteries. My daughter was given a “talking shape sorter” as a gift and I ended up taking the batteries out. The toy talked too much! It counted, it named shapes and it sang some songs. An interesting study has been done that looked at young children who were interacting with their parents while playing with an electronic shape sorter. You can read more about this here. Educational toys for infants should be simple and low tech. The fewer bells and whistles the better! Everything is new to a baby so everything is stimulating to him. You don`t need toys adding to that stimulation which in turn may lead to over-stimulation. 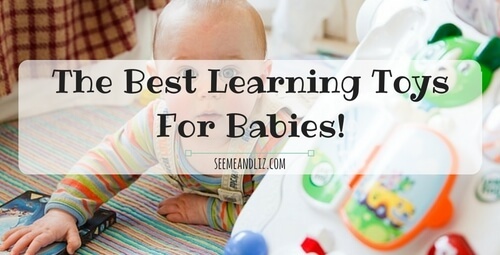 I hope this list helps you when trying to find some of the best learning toys for babies! 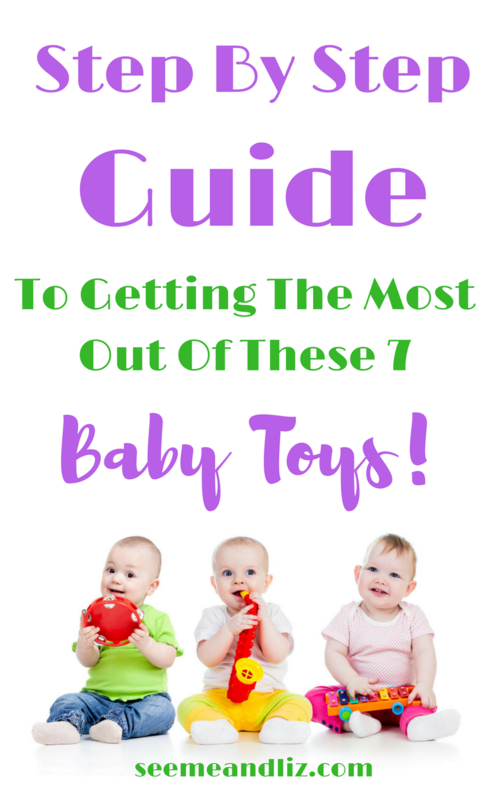 If you have any of these toys in your house, let me know how you are using them and which one your baby likes the best! You made it to the end! Congratulations! I know it’s going to be very hard to remember all of these tips so I have made this article available as a PDF version so you can refer to it anytime. This article is beneficial for me as I am expecting a baby girl in February. I am always looking for new toys that will not only keep my baby stimulated but also teach them as they grow. It is so hard now to find the right kind of toys now because it seems like we are becoming such a digital age that using your hands are almost obsolete. 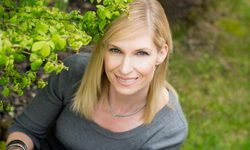 Your article helped me gain better insight in what to look for before our baby comes. Babies don’t need any digital or techie toys. They really don’t need much. That is why I have kept the list short but filled it with tips to use the toys for maximum benefit! 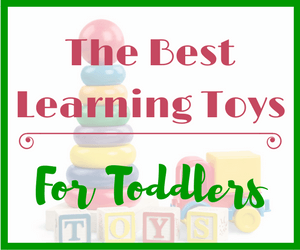 I am glad you found this list of the best learning toys for babies helpful Josephine! I read your article with great interest because I have a 7-month old grandson whom I am babysitting. His mom already has the activity play mat you show in your blog and he reaches up and plays with the toys above him. However, he does not like to play with one thing for too long, he likes to move on to something else. I can identify with what you said regarding the baby looking at your mouth and lips when you are talking or even singing. You present very good learning skills for parents (and grandparents) to interact with their precious little ones. I’m very glad I found your site. I especially like that you pointed out that it is the Parent who teaches, and not the toy. I am going to try working with the balls next. Thanks Judy. It’s not surprising that your Grandson doesn’t like to play with one thing for a long time. That is completely normal at 7 months old. Babies love to explore and learn about all the new things around them. This is why the best learning toys for babies should be very simple. No bells and whistles! Balls are another very basic toy but to a baby there is so much to learn from them! I am happy to hear that the tips in this article were helpful for you. Great article! 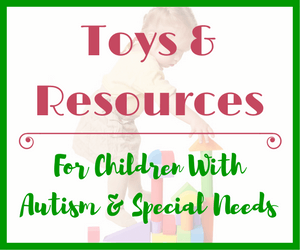 It provides us with a lot of info on all the types of toys there are out there. It can definitely become overwhelming. You want your kid to have the best learning tools, yet there are so many options out there that you don’t really know which ones to choose. I’ve recently bought a shape sorter toy for my 8 month old godson: he is so smart, his mama tells me he’s improving every day. I’ve also proposed to his mom to use your strategy of proposing 2 options to baby, and it’s working! He touches the shapes, examines them carefully, touches the holes, looks perplexed and then tries to make them fit in. His brain is creating some new links, new connections, every day he is using those tools and I find that great. I guess I wasn’t conscientiously aware of the harm of buying too many electronic toys for kids. I do see kids who are obsessed with phones or any electronic device. But I didn’t know that speaking and interacting toys could have some negative effects on kids. The study on limiting electronic toys was really informative. I don’t have kids yet but I’m passing this info to all the mamas I know! Thanks Didi! I love how your Godson is learning and trying and figuring out things himself. The best toys for babies really are the simple ones. I guarantee he is learning more from a simple shape sorter than he would be by tapping pictures that make sounds on his parents phone! Unfortunately marketers of baby toys are very clever and use working in the description of their toys that really convince unknowing parents that if they don’t get these techy toys for their little ones, they will fall behind. But as you can see this isn’t true. And if fact, the opposite could happen if a child is only given high tech toys from a young age. I remember about 2 years ago when my nephew was a baby he used to love his toy phone. He would commonly pick it up and just say â€œgood byeâ€ all the time. He would just do it over and over and then laugh. One thing he really loved is it had a real quite ring. He would pick it up all the time whenever he was doing something. Pretty much just stop everything he was doing and crawl to the phone. But like Andrea said babies do love remotes. It got to the point where we had to put the remote up high because he was constantly changing the channel or changing a setting that took us 15 minutes to change back. I would just make sure that the toys are not heavy. For instance, if you give them your old iPhone there is a chance it could get dropped. Really, I wouldnâ€™t be concerned about it breaking. It could end up hurting him or her, though. Kids love to mimic their parents Garen! This is why you saw your nephew drop what he was doing to pretend to talk to someone on the phone. But it is also a great learning experience. My kids loved playing with our remotes as well. I remember saying to my husband we need to start saving old remotes and leaving them lying around for the kids to play with! Thank you for sharing a very informative article about Learning Toys For Babies . I like all the toys you have mentioned, but especially balls because you can do so much things with your child and a ball. I love the concept of hide a ball â€œinâ€ a box and then take it â€œoutâ€ of the box. Thanks for your comment Karlo! As you can see these toys are very simple, yet a baby can learn so much from them! I really like this page, and as a father of three, I already know most of the toys in mention, but it’s still great to learn about benefits that I didn’t know about. The purpose is definitely for the child to have fun while learning different skills naturally. My favorites are balls and ball dropping toys. Great page, keep up the good work. Thanks Ossur! Balls and ball drops are great for a babies development. While these toys may seem simple and silly to an adult, they are very beneficial to young children! Babies love phones and remotes hahaha. Better to get them their own then let them play with the real thing. It is funny how babies love things like lighters and beer bottles. They seem to like to play with anything that adults use. Many babies love toys that light up and make noise, though parents don’t always like them. I remember when my daughter was 1, we got her a tractor that moved. She was freaked right out by it! It terrified her that it moved on its own! It was pretty funny. I ended up taking the batteries out. I like the ball dropping toys, they are fun for younger babies as well as toddlers. Stuffed animals are always good, my 12 and 9 year old girls still love their stuffies. Thanks for your comment. Children are drawn to to lights and sounds, however these types of toys can also end up causing over stimulation. And like you said, some children (like your daughter) actually become afraid of these toys. This is why I recommend staying with very simple low tech toys (no batteries required) for babies as they are best for learning! I love this post. I often get really worried that I am not interacting enough with my son but after reading your post, I feel better as I do do most of these things however you have inspired me to do more with him especially with the hiding of balls. I think lots of parents think it’s easier to just place an electronic toy in front of their child and leave them too it and I’m sure we are all guilty of doing that sometimes but it really is just the simple method of talking and showing which is best for baby. Thanks for sharing I will be sure to visit your site regularly. Happy to hear I have been able to inspire you to play with your child in many different ways. You are right, nowadays it is very easy for a parent to place a young child in front of a TV or hand him a tablet. And with the rise of so many “educational apps”, parents think that they are actually helping their child. Unfortunately this is not true, especially for babies and toddlers. They do not learn the foundation skills needed for future success through these apps. Children learn best through exploration, unstructured play and guided play with their parents and caregivers. Oh this is a welcome article – I had no idea until recently how many of the simple toys out there are rated at over two years of age! My son is now 15 months but everything he seems to like has a higher age limit – including simple toys made out of wood! This was a great read, thank you! Glad you liked the article. With regards to the age suggestions for toys, this is more for safety reasons to protect the manufacturers. There are some children up to the age of 3 that put small pieces in their mouths. This can obviously lead to choking. Therefore many toys will state not for use for children under the age of 3. However, you know your child best, so if you feel that your 15 month old can safely play with a toy meant for children over the age of 2, then there is nothing wrong with that. My son started playing with Lego at 3 years old. His first set was intended for children over the age of 5. But we knew that he wasn’t going to try to eat the pieces. Very wonderful post, I didn’t know that “ball” is the first word spoken by many children and I like the concept of the hiding the ball and revealing game. Thanks for reading the article. Ball is a pretty easy word for children to say so it is often found in a child’s first 10 words. But if a child isn’t around balls much or doesn’t have much interest in them, then it probably won’t be a first word. Keep in mind a toddler would probably say “bah” instead of “ball”. I am a new parent, I have a 9 month old son and you are SO right about the phones. He absolutely loves my phone, we even tried to get him a play phone and he wants nothing to do with it. He wants MINE. He sees me on it and runs over to me in his walker. If I stay on it too long texting or looking something up he gets mad like “why are you not paying attention to me mom! !” Needless to say, my phone has been beat up from him playing with it and throwing it on the floor. Another thing, it is so funny because we can go buy him what we think is the coolest toy and he would rather play with an empty water bottle cause it crinkles. Babies don’t care about elaborate toys they will be happy with a fying pan and a set of measuring cups lol. I actually didn’t own a smart phone when my daughter was born in 2007, I think I got my first one just after my son was born in 2009 but didn’t use it much. But they did see me on the regular phone and both kids as babies were always trying to get their hands on it. I love toy phones for babies, but I am not a fan of the “baby’s first smartphone” idea that comes with little mini apps and things like that. The goal of the baby phone is to get them “talking” on it, not just pressing buttons to see things on a screen. And you are right, babies and toddlers don’t actually care about the latest and greatest toys. They much prefer the packaging it comes in. This really tells a lot about how they develop and shows that fancy toys with buttons, lights, music and talking is a bit much for a young child. I spent a good amount of time carousing your site. 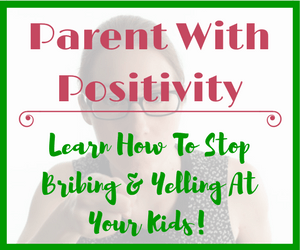 It is very informative and extremely helpful for young parents or older parents, like myself. I have two young grandchildren and I’m always looking for new toys to buy for them. It seems there are so many toys surrounding a digital theme and screen time. It’s nice to see a site so down to earth and toddler-friendly. I will bookmark your site so I can refer back to it. I’m glad you spent some time looking around the site and have found it informative. You are right, so many toys nowadays are electronic and are marketed as “educational”. Even toys for babies. I really want to teach parents and help them to understand that pushing academic skills on a young child can be detrimental. Young children need to learn and discover their environment through play! Thank you for all these useful tips and insights! It seems that all these toys have some certain benefits. 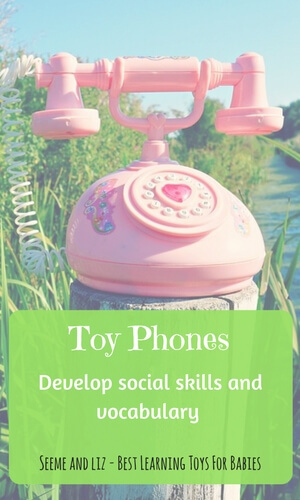 I like your tips how to use these toys for example practicing speaking with the telephone. To be hones I haven’t see many ball drops (only “car halls”) but it seems to be very useful for little children to practice coordination. Thank you again, I really liked your tips! Yes, all of these toys are beneficial to a child’s learning and development. I know it can be difficult for parents to know how best to use these learning toys with their babies which is why I wrote this article. Ball drops are great and a toy loved by most babies! As you mentioned they do help with coordination. I never thought of a phone as a learning toy really, but you are so right! My son is turning 2 in just over a week and he has started being very interested in his toy phone recently. I can see how he is mimicking me exactly. It is certainly helping along his talking now, he chatters away. I’m really enjoying watching him with it. He also loves balls, it has been his favorite for a long time. His skills are definitely improving! Isn’t it great to watch the little things our children figure out? A child’s development is really fascinating! I am sure that most parents wouldn’t think of the majority of the toys in this article as “learning” toys. However, I think they provide more opportunities for learning than something like a ball that will teach your baby “numbers, letters, colors and shapes”. This is really colourful. I like this article because it is good to help our new born kids become smart as they grow. From the baby’s play mats to the balls, all are good for shaping kids and make them smart. Please what age range are these learning toys for? Because most baby’s around year 1 are harder to teach. I am glad that you enjoyed the article. The age range for this particular article is for children under the age of 2. Keep in mind that the point of these toys is not to “teach”. Rather it is to set up a child with skills that will lead to success later on. I don’t want parents (or educators) walking away from this article thinking that they need to teach a baby in hopes of making them smarter. My goal with this article is actually quite the opposite. Keep things natural and play based. 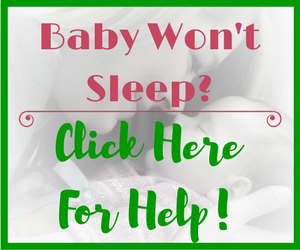 Your baby will be learning without even knowing it if you follow the suggestions in this article. We have the nesting cups and my boys like them. But I’ve also learned about how stimulating a baby’s left brain too much causes issues with the right brain and leads to learning dysfunctions. 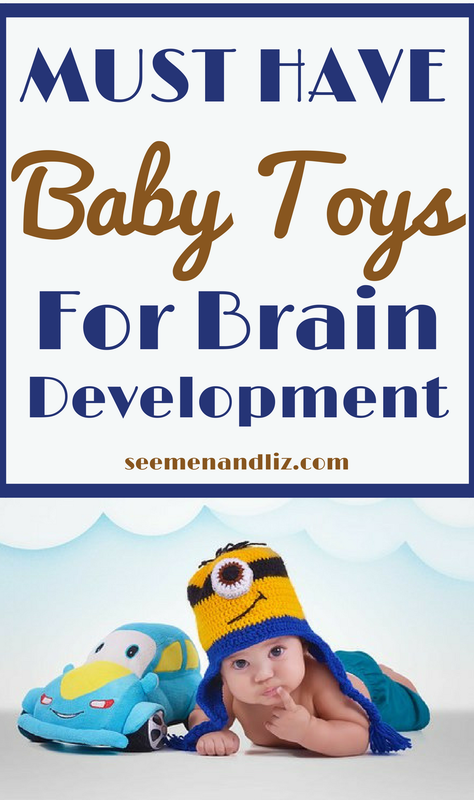 Are there any toys that are more suited for right brain development? I know that getting outside, running around, and physical interaction is the best for the right brain. But right now with bad air and frigid temperatures, staying inside is the only option. Thanks for your comment. I can’t say that I really believe that you can overstimulate a baby’s left brain too much that it will cause issues with the right brain. I don’t want parents to think that they need to constantly be “teaching” their baby. If you do a search for “right brain activities for babies” you will find a lot of information on using flash cards and colors. This is not something that I want to promote because it gets into the the whole “teaching” aspect which I am trying to avoid. Reading repetitive books such as “Brown Bear, Brown Bear” is a great activity to work on the right side of the brain. Try not to get too caught up in the “teaching” aspects. The number one thing that will help your baby and toddler develop is play. This can be unstructured play as well! What great ideas. To be able to play with your child and educate them at the same time. I love that you are not recommending any electronic toys for babies and toddlers. Although I have not seen a lot of studies (Pediatrics 116 (2) The Sensitivity of Children to Electromagnetic Fields), EMFs may be an issue for infants with their rapidly developing brains. It seems to me that all new parents should be aware of potential risks. Susan, you are spot on with regards to Electromagnetic Fields. More and more research is being done on this and studies are showing that early exposure to WiFi and EMF’s can harm the developing brain. I actually recently read a study that mentioned exposure should be limited until a child is in his/her teenage years. But beyond that, electronic toys really do not teach a baby as they claim to. Babies learn from human interaction and play! I also don’t agree with how much academics are pushed onto young children these days. A baby is not developmentally ready to read or count. And if you are able to teach these skills to a baby/toddler it will not make him any smarter than a baby who does not have these skills. I am so happy to hear that you found this information useful! It really is difficult to decide what toys are best for a baby from a learning and language development perspective as they all claim to “teach”. However, that is not what is important. I also want people who are on a budget to know what toys will actually help their baby. As you can see, you don’t need to spend a fortune to ensure your baby has the best toys for learning!